Editor’s Note: This post was written by OSH contributor Mercedes Samudio, LCSW. To find out more about Mercedes read her bio on the Current Contributors page. Visit Mercedes’s website The Parenting Skill and follow her on Twitter and Pinterest. When it comes to chores, there can definitely be a lot of power struggle between you and your child. Between you needing a task to be completed and your child’s not-so-subtle ways to let you know they are not doing them, you can feel frustrated and burned out. Sometime you might even just give in and do the task yourself just to make sure it gets done! As a parent coach, I often work with parents who feel like getting their child to complete household tasks is a never-ending battle. But, let me ask you: when you think of why you want your child to do chores, what ideas come up for you? Do you think of ideas such as responsibility, appreciation, and taking pride in their things? What about feeling like you’re not the maid and no longer want to pick up after your child? Or, how about feeling like they need to learn how to take care of their living space because you won’t always be aroudn to clean up their mess? You’re not wrong for feeling that way. These are definitely great reasons to want our children to begin doing tasks to keep the household in order. 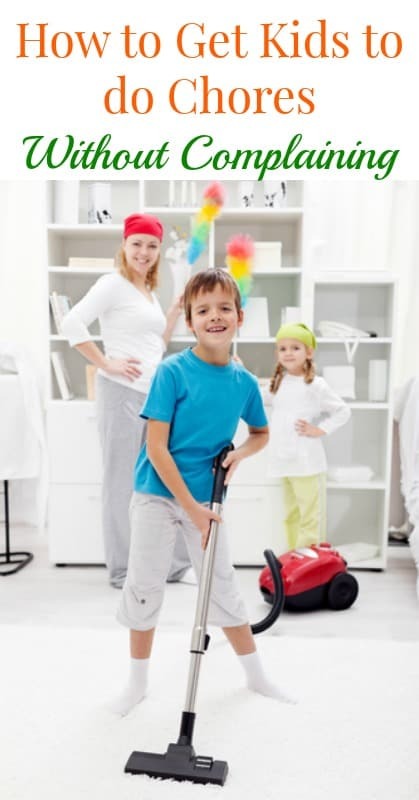 So, in an effort to take some of the pressure off and help you reduce the power struggle that accompanies chores, here are five tips that can help you separate your expectations of what your kids should be doing when it comes to chores from the reality of what will most likely get done! First and foremost, chores are not fun! There is no way to spice that up! No money, bribe, or promised item is going to make them fun! And, that’s okay. I encourage you to be honest about that – but not in a condescending way. Let your child air out their grievances about having to do their chores, validate how un-fun it is, and show them that you do care about how they feel when it comes to having to do their chores. This not only enhances your relationship with your child, but it allows you to show they that you are, in fact, a human who doesn’t always like doing chores either! Notice how I didn’t say make it fun? There are a variety of ways to make chores bearable – for both you and your child! Some ideas include: setting a schedule of when certain tasks need to be done, dividing up responsibility for a certain task, tackling one task a day, or even taking a break and hiring someone to do the chore twice a year (or more)! The idea is not to let the chore build up until it’s a monster of a task, but to think about how the get the chore completed in steps over time. It really does make it more bearable to do tasks in smaller chunks – again, for both your and your child! The other option – and it’s one that I have seen work many times in families -is to do chores as a family. Instead of saying one person does X chore alone and another person does Y chore alone, you can all pitch in to do it together. So, instead of one person cleaning the kitchen after dinner, everyone pitches in – with someone washing, someone drying, someone sweeping the floor, and someone putting away the dishes. This tip saves time and gets the chore done quicker than if one person did it alone. And, it works no matter how many people are in the family – from 2 to 10 – someone can always be pitching in. Another variation – you can shuffle the tasks so no one person is always stuck sweeping or washing! This one is going to feel like a “WHAT? !” moment! But, trust me when I say that the more value you place on something the more weight you give to it. If your child thinks that what you think of them is based on how they complete or don’t complete their chores, you’re going to get more resistance. I encourage you to explain that doing chores does not increase or decrease your view of them, adding that everyone in the home does chores so the house is more organized. And, no matter what age they are or how they complete the chore, be sure to acknowledge their efforts. This can be a simple “thank you” or it can be more specific, such as “Thanks for taking out the trash.” The main goal with this tip is to not add such an emphasis on the chore itself, but focus more your child and making sure that they know their contributions are seen! I know there are a lot of charts floating around the internet with chores listed by age. And, while you should always take into consideration your child’s ability to do a task, you can do that best by knowing your child. What I mean is even if your child is old enough to do a task, it doesn’t always mean that they will do it the way you want or even have the motivation to do it! This can be frustrating, I know. But, what I encourage my parents to do with this tip is get to know what skills your child has already mastered: if they are good at meticulous tasks, give them chores that require attention to detail; if they have a short attention span, give them chores that are quick and easy. Thinking of assigning chores this way helps take the pressure off of both you and your child, and it lays the foundation for a chore actually getting completed. The overall mindset you can have about chores is this: the actual task doesn’t matter as much as building a foundation of understanding. Setting expectations that your child needs to do X chore or Y chore without understanding how to get them motivated will always result in power struggles. Taking the time to use these tips and identifying what motivates your child to get a task completed will greatly reduce that frustration! Unfortunately, there is no way for me to make chores exciting and thrilling!